The free-to-play fighting game hits Windows 10 with cross-platform purchases, saves, and multiplayer. Microsoft’s cross-platform gaming efforts are finally underway with the launch of Killer Instinct on Windows 10. 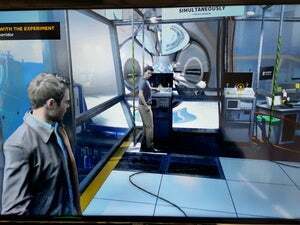 For PC players, there are a couple caveats: Before launching the PC version, Microsoft recommends running the Xbox One version with the latest updates to synchronize progress and purchases. Microsoft also notes that Xbox One fight stick controllers don’t work with Windows 10 yet, though support is coming in a future release. In the meantime, Xbox 360 Fight Sticks should work. It’s also worth noting that the game is only available through the Windows Store for Windows 10 users. There’s no support for older versions of the operating system, and no launch on other PC gaming stores such as Steam. Microsoft started talking about cross-platform multiplayer and in-app purchases last year, with Fable Legends, Pinball FX2, and Gigantic as examples. But Pinball FX2 has yet to launch this functionality, Fable Legends has been cancelled, and Gigantic has run into delays and remains in private beta. 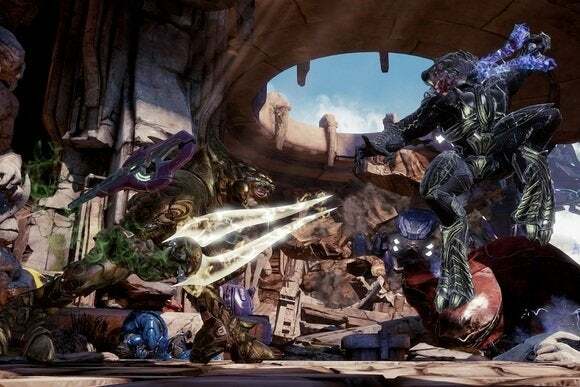 Killer Instinct, then, has become the first Windows Store game with cross-platform saves, purchases, and multiplayer, but it won’t be the only example for long. 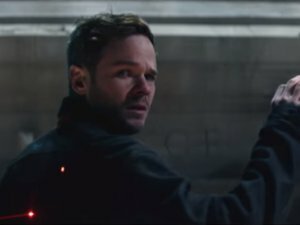 Next week, Microsoft will launch Quantum Break for Xbox One and Windows 10, and anyone who pre-orders the console version will get a PC copy for free. Game saves will also transfer between the two platforms. Still, Microsoft has not extended the same courtesies to buyers of Gears of War: Ultimate Edition or Rise of The Tomb Raider, which both launched as console exclusives on Xbox One last year made their way to the Windows Store earlier this year. Why this matters: Microsoft has talked about cross-platform gaming for years now, only to have previous efforts fizzle out. 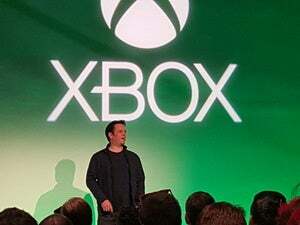 While it’s unclear how far the company will go in bringing this initiative to the rest of its gaming catalog, or if major third-party publishers will get on board, at least it’s a first step toward letting Xbox and PC owners play on whatever screen they want.